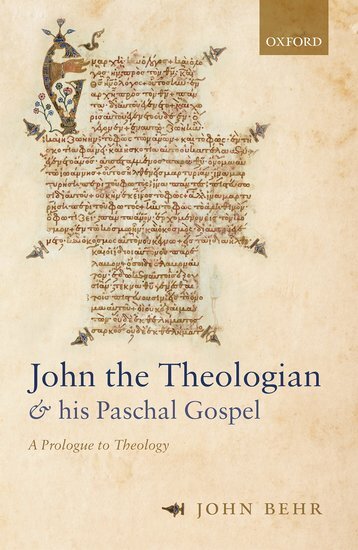 John the Theologian and his Paschal Gospel. A Prologue to Theology. Click here for special Pre-order 20% off original ($110 price) plus get FREE Shipping in USA! Book will be shipping this April 2019. This event will also simultaneously be live streamed to a global audience. This work as well as his other numerous titles will be available to order during the event. Cost of Event: FREE, but donations are welcome. John the Theologian and his Paschal Gospel. A Prologue to Theology, brings three different kinds of readers of the Gospel of John together with the theological goal of understanding what is meant by Incarnation and how it relates to Pascha, the Passion of Christ, how this is conceived of as revelation, and how we speak of it. The first group of readers are the Christian writers from the early centuries, some of whom (such as Irenaeus of Lyons) stood in direct continuity, through Polycarp of Smyrna, with John himself. In exploring these writers, Fr. 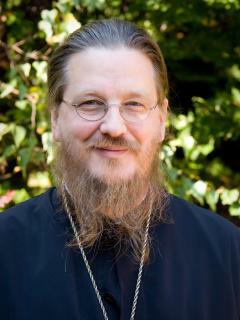 John Behr offers a glimpse of the figure of John and the celebration of Pascha, which held to have started with him. The second group of readers are modern scriptural scholars, from whom we learn of the apocalyptic dimensions of John’s Gospel and the way in which it presents the life of Christ in terms of the Temple and its feasts. With Christ’s own body, finally erected on the Cross, being the true Temple in an offering of love rather than a sacrifice for sin. An offering in which Jesus becomes the flesh he offers for consumption, the bread which descends from heaven, so that ‘incarnation’ is not an event now in the past, but the embodiment of God in those who follow Christ in the present. The third reader is Michel Henry, a French Phenomenologist, whose reading of John opens up further surprising dimensions of this Gospel, which yet align with those uncovered in the first parts of this work. This thought-provoking work brings these threads together to reflect on the nature and task of Christian theology.